Assu, Academic Staff Union Of Universities, has called off their strike, following their Latest interaction with Nigeria Federal Government over their needs. 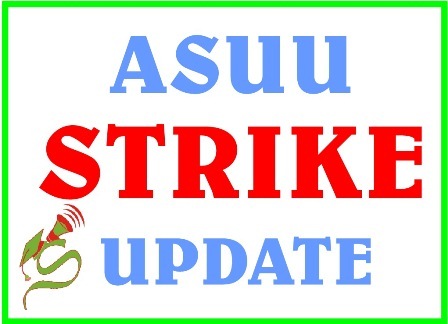 Members of the Academic Staff Union of Universities (ASUU) have suspended their over a month old strike action. You should be aware that the lecturers proceeded on a strike on August 14th. Non-implementation of provisions of the 2014 pension reform act with respect to retired professors and their salaries. Announcing the suspension of this current strike, the President of the union, Professor Biodun Ogunyemi, said the strike would be suspended until the end of October 2017, which will give the government ample time to fulfill all the promises it had made to the association. According to their Chief Spokesman, The ASUU Chief representative, and all lecturers and students in Universities across the country are to resume full academic activities with immediate effect. This decision to suspend the asuu strike was made just some few minutes ago when all stakeholders in the ASUU body agreed on the offer the Nigeria Federal Government has made. Though details of the said offer has not been disclose by the ASUU body yet, it can be concluded that indeed not all ASUU demands have been met by Federal Government. While thanking the general public, students and parents for their understanding, ASUU has insisted that they will not relent on her efforts to rescue the educational system by pressing home the demands necessary at all times. this question remains within our heart and soul, hope this asuu strike is over for Good. up NIGERIA, UP NIGERIA STUDENTS. The asuu strike is really efferting student, please you guys should do something fast and call off the strike. As a student with all due respect I hereby appeal for asuu to call off the strike so we can go back to school. And make every provisions to enabled the educational to move smoothly so as to enhance the standard of education in country. Please, federal government should endeavor to comply on asuu demand so there can be peace in the education sector.beware that every leaders was once a student. As a student with all due respect I hereby appeal for asuu to call off the strike so we can go back to school. And let government should make every provisions to enabled the educational sector to move smoothly so as to enhance the standard of education in our country Nigeria. Asuu has every reason to strike due to government negative response towards their demand.Lets considered the new students so as to stimulate them.